When it’s time to purchase a new vehicle that puts you in the lap of luxury while providing safe transportation for you and your family, get familiar with the options available to you at Mercedes-Benz of Lafayette. We carry the most stylish and reliable Mercedes-Benz vehicles from 2017 and later, including the newest models from 2019. You’ve never experienced dependable luxury until you’ve driven a Mercedes-Benz, and at our showroom in Lafayette, LA, you can make that experience your own. Browse our catalog of new vehicles, and come visit us when you’re ready to test drive some incredible cars and meet our friendly staff. It’s only natural that when you need a new car, you immediately look for a Mercedes-Benz. No matter which model you choose, Mercedes-Benz vehicles are always elegant and reliable. If you’re looking for something smaller that packs a punch, the C-Class and E-Class coupes and sedans are exactly what you need. These models have the signature sleek look that you’ve come to expect out of a Mercedes-Benz along with class-leading performance and safety features. We also have the 2018 and 2019 C-Class and E-Class lines available in convertible builds, perfect for when you want to feel the wind in your hair in a reliable vehicle. Looking for something that holds more passengers and allows you to drive on a variety of terrains without sacrificing performance and style? We also carry 2018 and 2019 models of Mercedes-Benz sport utility line vehicles, including various models of GLA, GLC, and GLE SUVs. When you want to experience the pinnacle of style and performance, Mercedes-Benz of Lafayette has you covered. The 2019 Mercedes-AMG GT four-door coupe is a true sportsman’s vehicle, offering safety and speed in a sleek package. When you want browse car options, you need a dealer that will help you find the model that meets your needs and your budget. 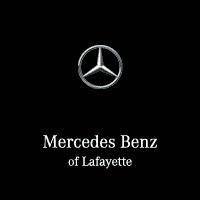 We offer one of the largest inventories in Lafayette, LA, as well as Mercedes-Benz parts and service. We’re proud to offer exceptional Mercedes-Benz coupes, sedans, SUVs, and roadsters. Whether you’ve driven only Mercedes-Benz cars for years or you’re shopping for your first, we can help you find the perfect car for your lifestyle. Our team of expert salespeople know these fine pieces of machinery inside and out because we drive them ourselves. We know everything there is to know about Mercedes-Benz vehicles, and we’ll be happy to show you models that will suit you. When you’re ready to get started, browse our selection of new cars for sale online, or come down to the Mercedes-Benz of Lafayette showroom and meet the team!